Ray brings over thirty-five years of experience in resources, recycling and waste to the challenges that face the industry today. From his first involvement as a volunteer ‘waste paper’ collector through to managing his own professional services business today and leading a recycling industry trade association (the Resource Association), Ray displays a passion for the environment combined with business acumen to deliver an end to our wasteful use of resources. Ray operates at a senior executive and strategic level. He was Director of Policy and Evaluation for the UK Government’s Waste and Resources Action Programme (WRAP) from 2001-2008. Before becoming Chief Executive of UK environmental charity Waste Watch from 1996-2001, Ray held several other project management posts in the community sector, and in his early career he was a sales executive in the textile industry. From the mid-1990s onwards, Ray has had a strategic involvement in the development and implementation of UK waste and recycling policy. Today, Ray has a portfolio of interests in the industry alongside his business RGR. These include non- executive directorships of LondonEnergy Ltd and Bryson Recycling Ltd and pro-bono trusteeship of charity WasteAid UK of which he was a founder. 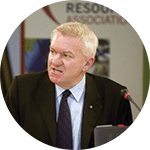 Ray is a regular chair and speaker at industry events and a media commentator, including a regular column for Resource magazine. 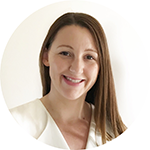 Courtney Allan holds a Bachelor of Business majoring in Advertising from Queensland University of Technology and a Juris Doctor (Post Graduate Law degree) from Bond University and is a practicing Solicitor in Queensland. Courtney is representing the family business I Cook Foods. I Cook Foods is a food manufacturer and has been in the industry for over 30 years.